A lot of the newer work from home jobs might be careers you were not aware of but transcription work from home has been around for a very long time. Compared to many other work from home opportunities it offers a higher wage and a lot of flexibility. Read on below to find out more about transcription work from home. What is Transcription Work From Home? Transcription is the process of taking audio files and turning them into a written form. It requires you to be a fast and accurate typist. Sometimes these audio files could be something as simple as voicemails or conference calls. Sometimes the more complicated files might be medical files or legal proceedings. Transcription careers have been around a long time but years ago they were all in-office positions. Once people started using home computers transcription jobs were sometimes remote but usually employees were still required to come into the office every day to pick up their work load to take home to transcribe. These days so many of the transcription work from home positions are completely remote and can be done from anywhere with the files being sent to you over the internet. 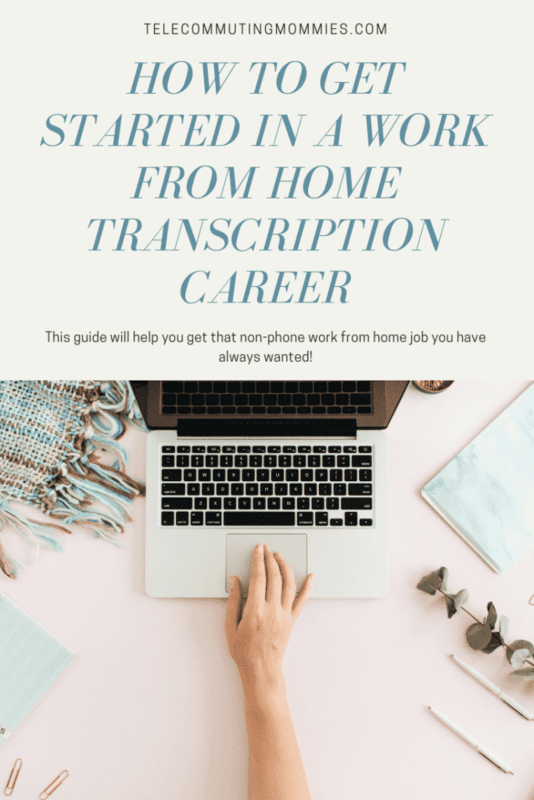 There is a lot of information across the blog regarding transcription work from home so here are the posts you will want to visit to find out more about transcription work from home. Transcription work from home jobs Has a list of over 100 transcription jobs that hire people to work from home and information on how to apply with these companies. General Transcription Jobs– These transcription jobs are the ones that require no spexialization in the medical or legal field and are probably the easiest to get if you have very little or no experience. Online Transcription jobs for Beginners with Quicktate- Has more information on this company Quicktate as they are one of the easiest companies to get hired on with if you have no transcription experience. Medical Transcription Work From Home- Do you have a medical background or are interested in finding out how to get started specializing in medical transcription? This has a list of companies that hire for these types of positions and how you can get started. Legal Transcription Jobs– Legal transcription jobs are some of the highest paying work from home positions. They may require some specialized skills but it is an interesting high paying career. Work From Home Transcription Jobs with TranscribeMe- This company is one of the few that requires little to no experience and many transcribers report making $25 an hour or more. Audio Transcription Jobs with Rev.com- This company also requires little to no experience to get started which is great because you can then use that experience to advance your transcription career. Transcription from Home with Tigerfish- Tigerfish is a transcription company that has been around since 1989 so you know it is a legitimate and reliable company and hires inexperienced transcribers. Transcription From Home Jobs With Speakwrite- Speakwrite hires for both general and legal transcription and hires consistently throughout the year. Want more work from home transcription leads? 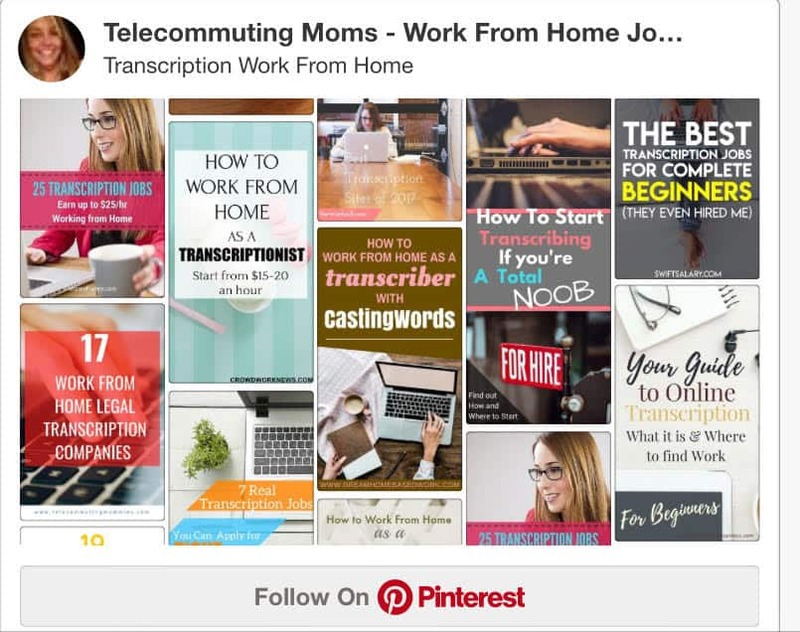 Follow our Transcription Work From Home Job board on Pinterest. Some of the general transcription companies hire people without experience, a few of them are mentioned above but many of these companies especially the more specialized ones require some training or previous experience in transcription. There are a lot of courses and programs out there to teach you transcription if you have no experience but many of these are scams or just don’t have very good reviews from previous customers. The only one I usually recommend for those looking to start a transcription career is Transcribe Anywhere. They offer a free mini-course for those interested. They also have a legal transcription free mini-course for those interested in specializing in that, it is even higher in demand.